Is there any act in electronic music quite like Above & Beyond? Songwriters, musicians, producers of forward-thinking club anthems and curators of a label responsible for nurturing talents such as Dusky and Mat Zo, Above & Beyond aka Jono Grant, Tony McGuinness and Paavo Siljamäki have set themselves even further from the pack in the past 12 months. 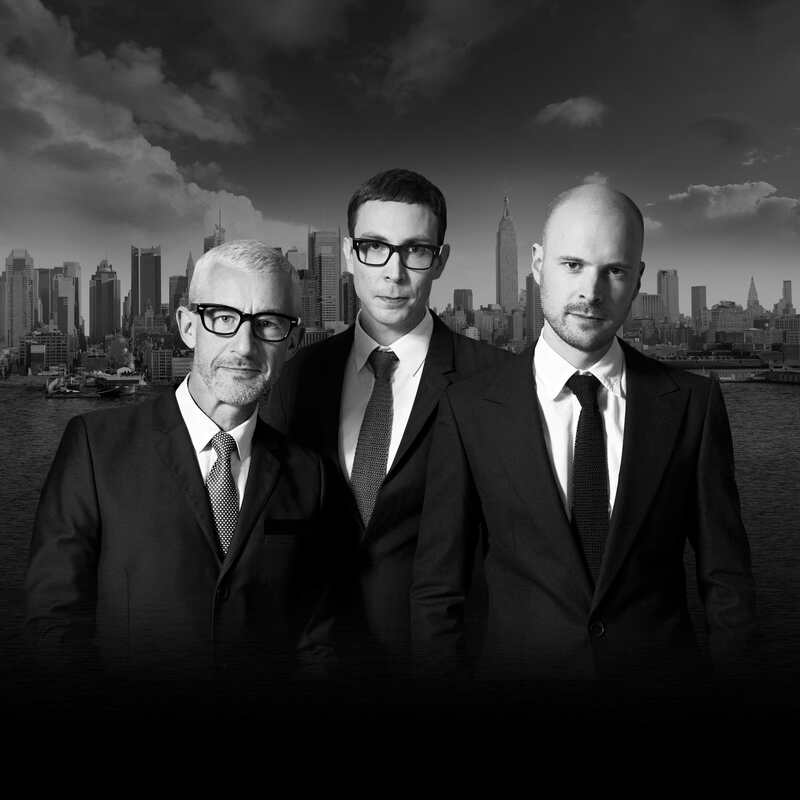 Recently announced as the first British DJs to headline Madison Square Garden, Above & Beyond picked up their instruments and performed two acoustic shows at LA’s iconic Greek Theatre last October, before returning to the UK for a sold out DJ show at London’s Alexandra Palace – broadcast to 20 plus million people via their globally syndicated Group Therapy show. The end result? Two weekends, three headline shows, 20,000 tickets and a #1 Twitter trending topic. The band’s first vocal single of 2014, “Sticky Fingers” (feat. Alex Vargas) is a unique, festival-ready anthem that brings together all that Above & Beyond do best in one deliciously dark hit. Owing more to Depeche Mode and Coldplay than it does to what commonly gets termed EDM, “Sticky Fingers” opens with a mesmerising piano line, before Alex Vargas’s haunting vocals tap into the anxiety within a relationship’s immediate break-up – and the psychological hold of a recent ex. Climaxing in a suckerpunch riff that recalls the intense energy of the band’s recent club smash “Hello” (Danny Howard Future Anthem – BBC Radio 1) but hits with a much darker and edgier vibe, “Sticky Fingers” manages to sound like no-one else around right now. With a packed summer season and a new album in motion, Above & Beyond will be performing at UK festivals Glastonbury, SW4 (mainstage headliners), Creamfields, V Festival and T In The Park – as well as Spain’s legendary Benicàssim. Above & Beyond feat. Alex Vargas “Sticky Fingers” will be released on 19th May via Anjunabeats. The full release will be accompanied by a deep, dreamy house remix from fast rising Anjuandeep talent Lane 8 and a drum & bass rework from Metalheadz’s Om Unit.